The fight for gay, lesbian, and trans civil rights-the years of outrageous injustice, the early battles, the heartbreaking defeats, and the victories beyond the dreams of the gay rights pioneers-is the most important civil rights issue of the present day. 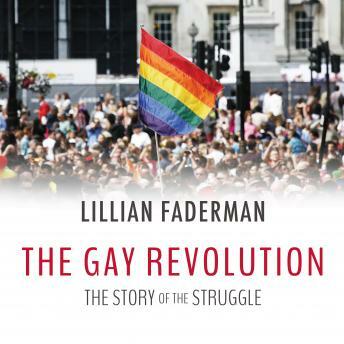 Based on rigorous research and more than 150 interviews, The Gay Revolution tells this unfinished story not through dry facts but through dramatic accounts of passionate struggles, with all the sweep, depth, and intricacies that only an award-winning activist, scholar, and novelist like Lillian Faderman can evoke. The Gay Revolution begins in the 1950s, when law classified gays and lesbians as criminals, the psychiatric profession saw them as mentally ill, the churches saw them as sinners, and society victimized them with irrational hatred. Against this dark backdrop, a few brave people began to fight back, paving the way for the revolutionary changes of the 1960s and beyond. Faderman discusses the protests in the 1960s, the counter reaction of the 1970s and early eighties, the decimated but united community during the AIDS epidemic, and the current hurdles for the right to marriage equality.